(NaturalNews) President Obama's decision to disregard federal immigration statutes calling for the deportation of illegal aliens and Congress' refusal to hold him accountable through constitutional processes are having deadly results. As reported by Breitbart Texas, six illegal immigrants from Honduras and Guatemala were killed and multiple others injured following a high-speed police chase that ended when the driver of an SUV carrying at least 15 people crashed near the rural town of Edna, Texas, which is located in Jackson County. At least two were arrested, Breitbart Texas reported. The fatal accident took place shortly after 1:30 a.m. on September 24 along Highway 59 after police in Edna attempted to pull over the Ford Explorer for a traffic violation. An ABC affiliate in Houston, ABC 13, reported that the SUV's driver led police through a series of turns onto and off of the main highway but eventually overcorrected the vehicle in one of the turns, causing it to roll over several times. Four illegal aliens were ejected from the vehicle and died from their injuries. Two others ran from the crash but were eventually arrested, while two more passengers died at a local hospital. The rest are being treated for their injuries, compliments of the U.S. taxpayer. ...[A]uthorities believe the crash is a failed human smuggling attempt. They also reported that the middle seat in the SUV had been removed and the rear seat had been folded down in order to fit more people. Preliminary information points to the crash victims as having been from Honduras and Guatemala. "(U.S. 59) is a major corridor to get to Houston from the Valley and from the border. It is why it is used for not only human trafficking, but also drug trafficking as well," Department of Public Safety Trooper Ruben San Miguel told the affiliate. San Miguel told KHOU in Houston, a CBS affiliate, that the crash was "horrible," especially the condition of those who were ejected from the vehicle. "The most difficult part of this is if they're not U.S. citizens and have no ID," San Miguel added. "We have to start the investigation of how to track these people down." The New York Times also reported on the accident, noting that stops of vehicles carrying immigrants are common on that stretch of road, which begins in Laredo and runs to Houston and beyond. The New York Times also reported that the driver was American and that at least some of the human cargo he was [allegedly] trafficking into the U.S. were from Mexico. Officials, including Jackson County Sheriff A.J. Louderback, laid the blame for the accident on the doorstep of 1600 Pennsylvania Avenue, telling Breitbart Texas that the incident "highlights our president's complete disregard for the rule of law." "The worst part is that most Texans and most Americans don't know about the complete disembowelment of our nation's immigration system," he continued. The sheriff has been a vocal critic of the Obama administration's cutback on deporting criminal illegal aliens as well as the new Priority Enforcement Program implemented by the White House. Louderback believes that program is hampering local law enforcement officials and preventing them from doing their duties to protect American communities. A favorite tactic of human smugglers is to pack vehicles with as many illegal immigrants as possible and then try to avoid U.S. Border Patrol checkpoints that extend many miles inland, upsetting many Americans and civil libertarians, as we have reported. 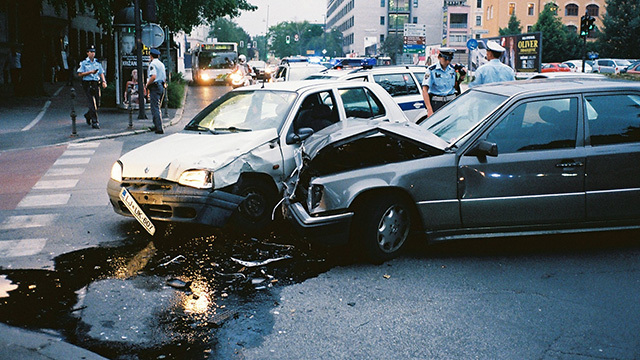 That tactic often results in high-speed pursuits by law enforcement, which in turn results in fatalities because drivers are inexperienced in such high-speed scenarios where vehicles are overloaded with humanity. For his part, however, Obama has been unrelenting on changing immigration policy to suit his political ideology, even at the risk of American and immigrant lives.